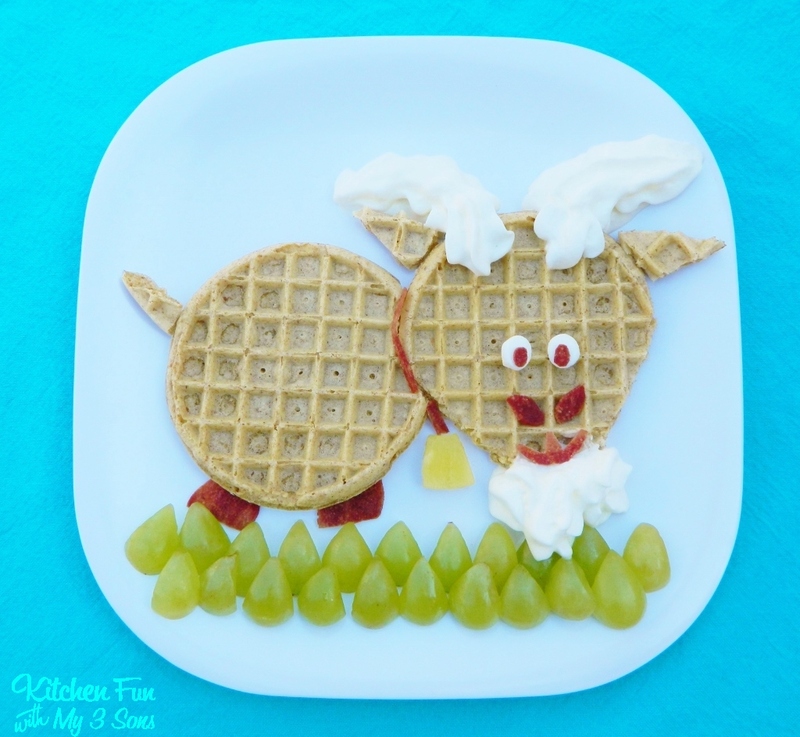 We are Chief Waffle Officers for Eggo this week and we are on day 3 of sharing our fun food ideas using Eggo products! We came up with this fun Leggo my Eggoat Breakfast and my boys thought this was so cute! This was so much fun to make and we hope your kids enjoy it and much as my boys did! Make sure to check out our Chicken & Eggo Waffle Kabobs for Kids & Eggo Monkey Banana Split that we shared earlier this week! Now it’s time for the Eggo Giveaway!! One of our lucky readers will win a Eggo package including…..
1. Simply leave a comment on this post letting us know what Eggo products you like the best! Leave separate comments for everything you do to up your chances of winning! Winners are chosen using Random.org. Giveaway ends on April 10, 2013 and will be announced on on April 11, 2013! Make sure to go to www.facebook.com/Eggo to enter your recipe ideas for “The Great Eggo Waffle Off” contest! 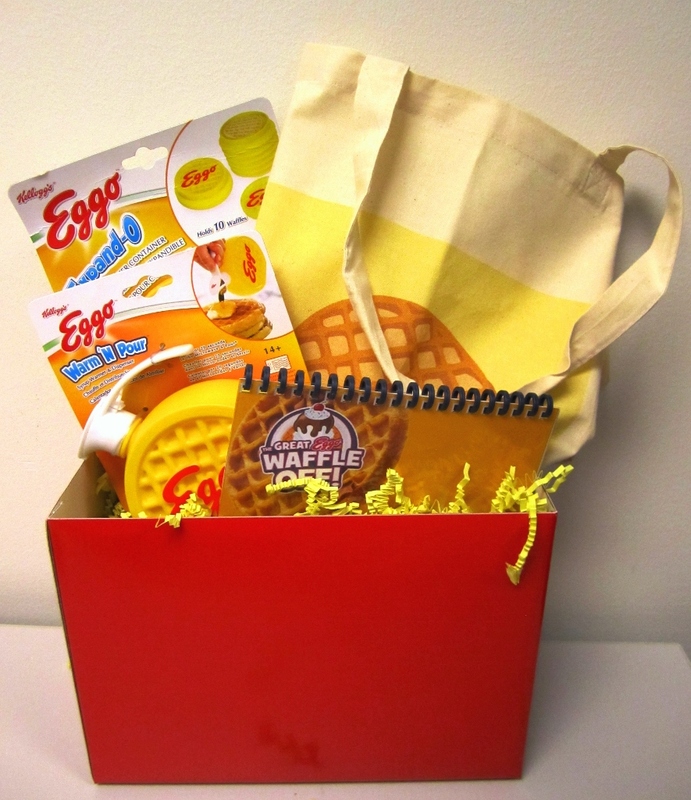 The #EggoWaffleOff is going on now and your creative idea just might win 5,000 bucks & other prizes!!! Disclosure: We are being compensated by Eggo for creating recipes to promote and inspire others to enter The Great Eggo Waffle Off Contest. We are huge fans of Eggo and we are expressing our own opinions for Eggo products. This is so cute! My favorite Eggo product is the Nutra-Grain Blueberry Waffles. You think of everything. Grass grapes and even a pineapple chunk bell around the goat's neck. Your imagination is limitless. This is great!! We like the cinnamon waffles too! We cut the eggos in half, put them in a muffin tin, cook for 10 minutes at 350, and then use them as ice cream bowls!! FUN!! Thanks for sharing! Oh my gosh, I love those cinnamon waffles! We eat them plain, they're so good! I love the goat. Eggos are great to use in so many different ways. I enjoy the blueberry eggo waffles! My kids love the chocolate chip waffles! My kids LOVE the chocolate waffles and the mini plain waffles or cinnamon toast waffles..we always have one or more of those flavors in the freezer!! I love just the plain ole waffles. Homestyle. I spread peanut butter on top and drown them in maple syrup. YUM! I like the Blueberry ones the best! I love your site!!! Who do you ever bounce your ideas off of???? The goat is hysterical!!! Love it! 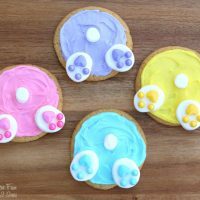 I think I want to eat some puppy waffles! Cute, cute!!!! I check you out on Facebook all the time! Hi, I love the blueberry waffles the most. Thank you for a chance at the giveaway!! I like the mini waffles. 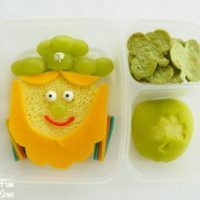 Make great small sandwiches for lunch. 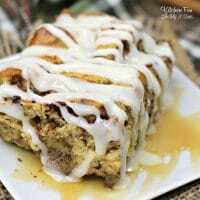 Cinnamon are a favorite in my house! I love the blueberry waffles and the blueberry muffin tops! The chocolate chip waffles are good too with strawberries and whipped cream! Love it! Thanks for sharing at Bacon Time! I added this to buffer to share with 123homeschool4me's social media this week!